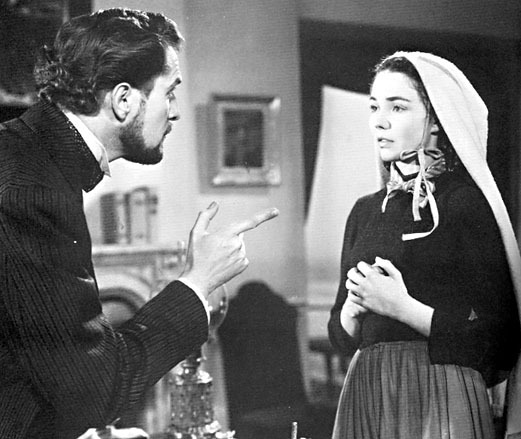 One of the rare Hollywood studio films to address religious conviction in a serious and complex fashion, 1943’s The Song of Bernadette made a star of Jennifer Jones, who won the Academy Award for Best Actress, in addition to taking home a Golden Globe during those awards’ very first ceremony (the film also won Globes for Best Dramatic Film and Best Director). 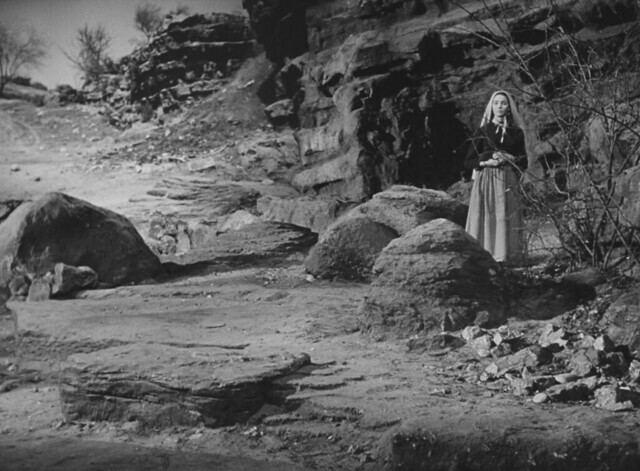 Buoyed by outstanding supporting performances by Vincent Price, Gladys Cooper and Charles Bickford, and sumptuous cinematography by Arthur C Miller, The Song of Bernadette is a profoundly affecting drama no matter what one’s own personal beliefs. 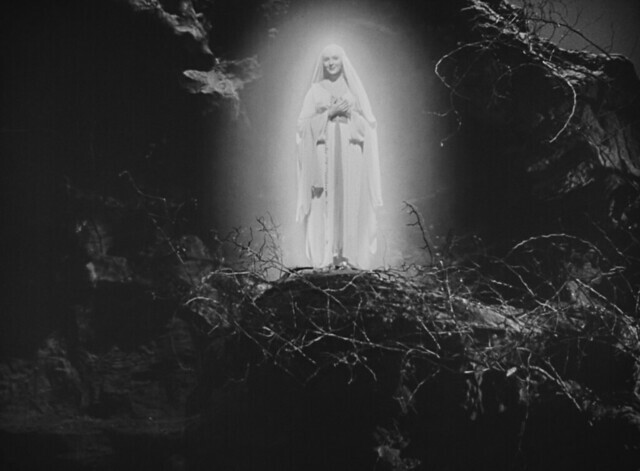 It is also one of the crowning achievements of director Henry King (Love is a Many-Splendored Thing). 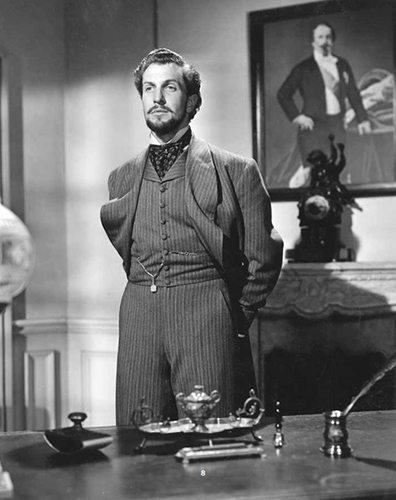 As the Imperial Prosecutor, Dutour, Vincent Price plays it cold and cynical until his character discovers he has throat cancer, forcing him to turn to accept God. 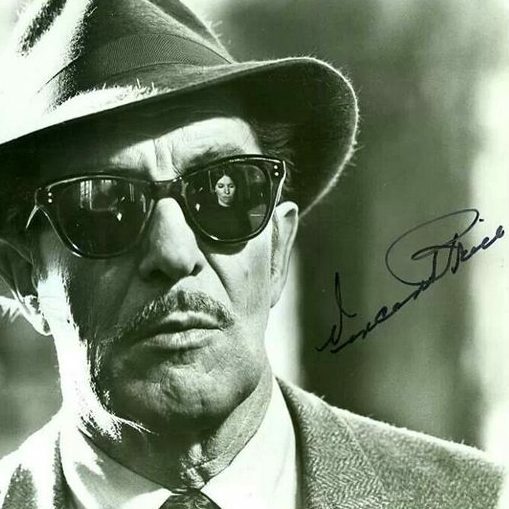 His final speech during the film’s final scene will haunt with you forever. 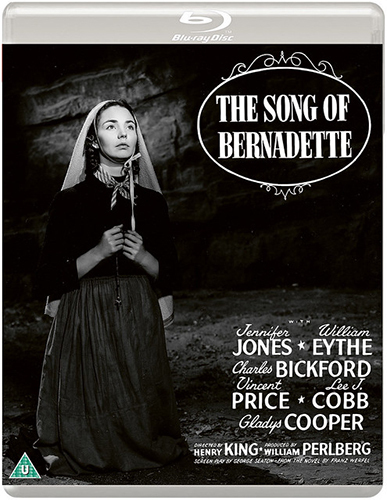 • Collector’s booklet featuring new writing by film journalist and writer Amy Simmons, alongside rare archival imagery and viewing notes.